With stunning sea views of Ailsa Craig and fresh air in abundance, your stay will certainly relax and refresh you. Our Arran cottage, the most southerly house on the island, provides spacious, comfortable and well appointed self-catering accommodation with all modern comforts - a perfect holiday retreat to return to after a day enjoying everything that the wonderful Isle of Arran has to offer. ​From exhilarating walks to reading in the cosy sun room, Arran and Firth Cottage can offer you a fantastic self-catering holiday to remember. Firth Cottage is a charmingly restored early 19th century holiday home with stunning panoramic views of the Ayrshire coast, Ailsa Craig and Mull of Kintyre. Spacious rooms, tasteful modern decor and all home comforts await you. Our postcode is KA27 8SJ. 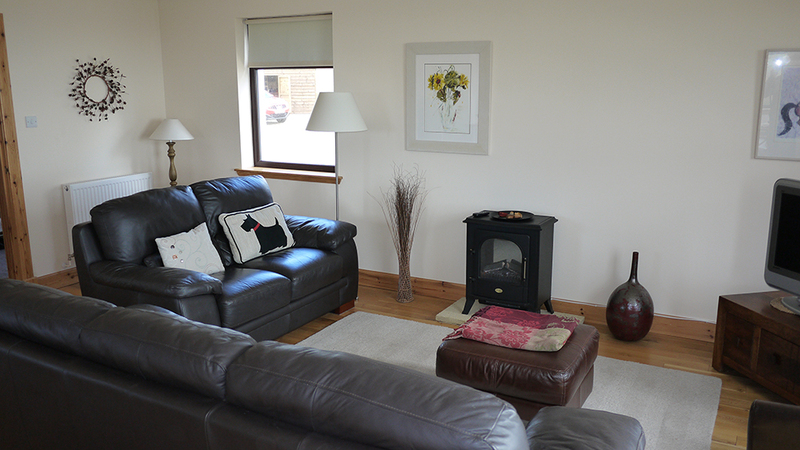 The holiday home is easily reached from the ferry terminal and main town of Brodick. With excellent transport links, Arran is very easily accessed. 19 miles long by 10 miles wide, the island is often called "Scotland in miniature" - its beautiful coastline is complemented by a rugged, mountainous interior in the north and green rolling hills, waterfalls and woodland in the south. The island boasts a huge variety of cafes, pubs and restaurants to suit every budget and even has a luxury spa. Find out more information about the activities, transport, shopping and dining by visiting our Arran page. Learn more. Arran is a popular year-round island, and the ferries can get busy in peak season for car traffic. Advance booking is recommended.